We find ourselves turning to Hormel Foods time and time again. 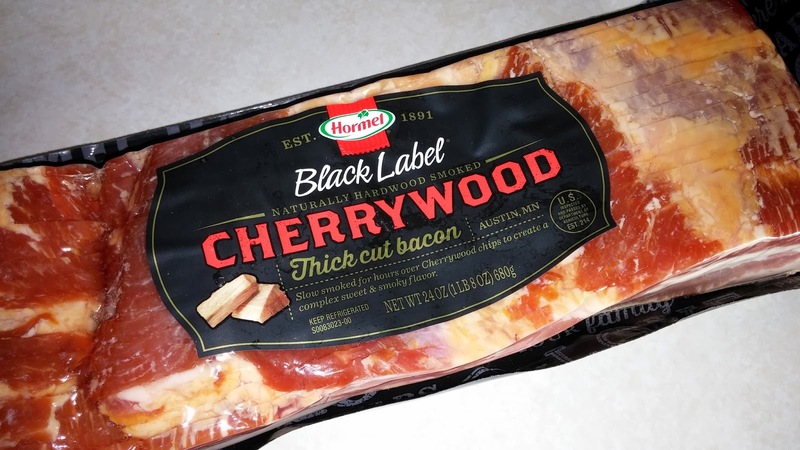 New Hormel® Black Label® thick cut bacon varieties – Unique bacon flavors have been popping up on restaurant menus lately, and now we can have the same treat at home! 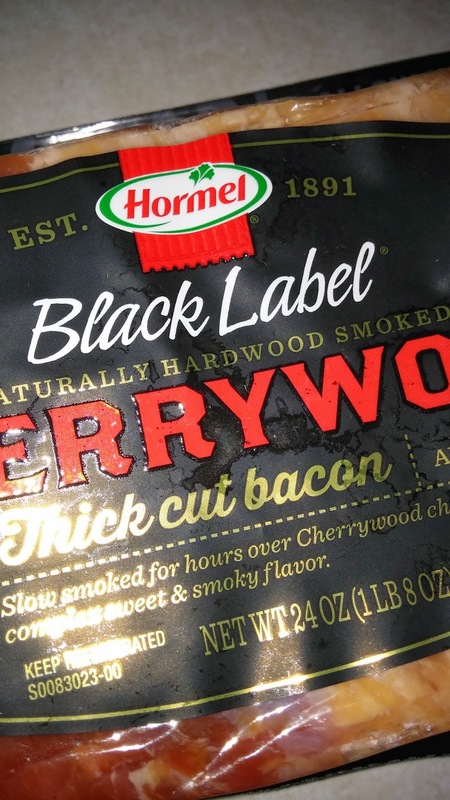 Hormel has added three new savory and sweet varieties to its popular Black Label bacon line: Cherrywood, Pecanwood, and Brown Sugar. Great on burgers, sandwiches, or as a way to add sizzle to your breakfast routine. One of our favorite ways to incorporate bacon is by creating delish club sandwiches at home in the toaster oven. 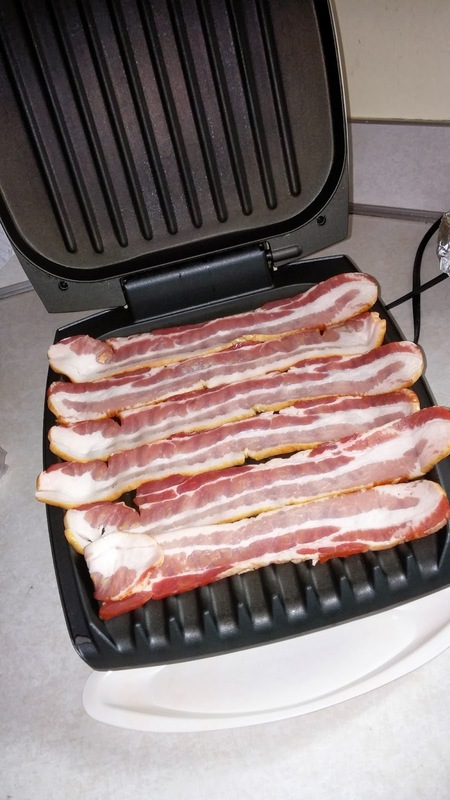 We simply take thinly sliced deli meat, top with a couple of slices of bacon and a little shredded cheese, and pop it into the toaster oven for a few minutes. 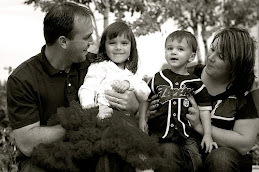 Restaurant quality dinner sandwiches at home! 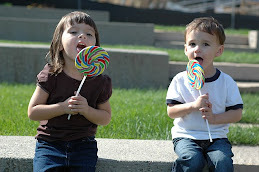 Well, we are ok with that. 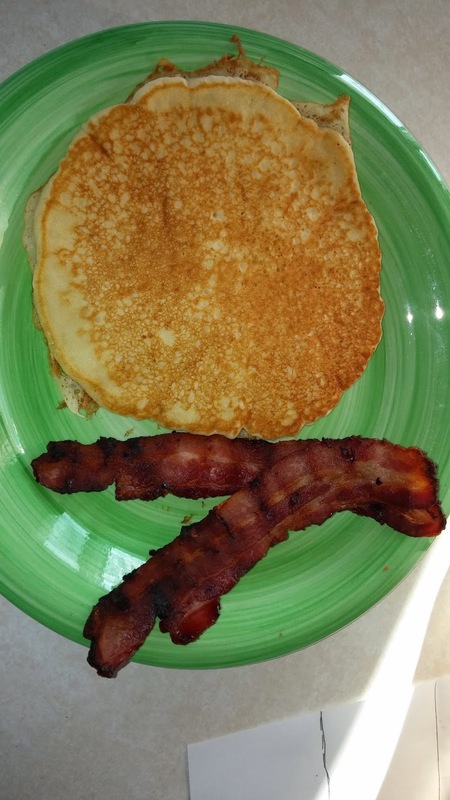 Breakfast for game day fuel? 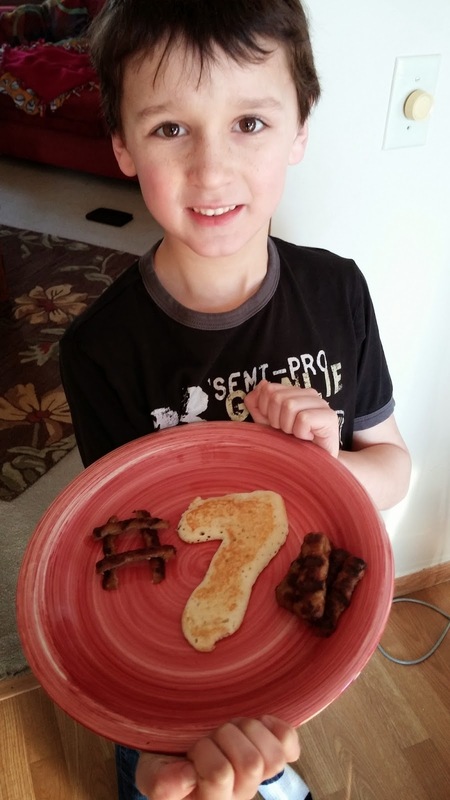 #7 pancake for my player who wears the 7, and IS 7, with a side of Hormel Sausage! What is your favorite way to eat bacon – BLT, with eggs and toast, or on its own? I have to say my favorite way to eat bacon is by itself or in a BEC or BLT sandwich. 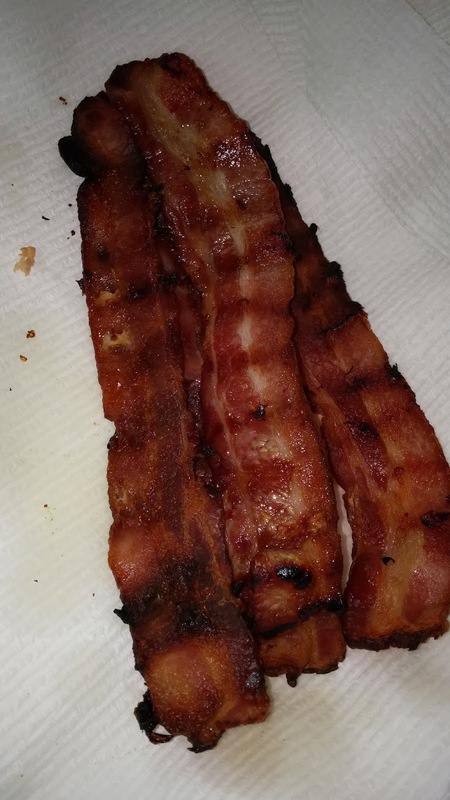 Bacon is such a delicious food!